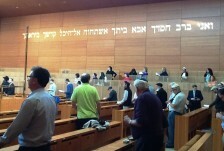 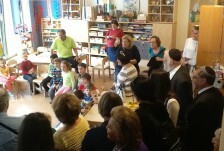 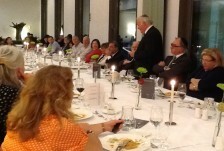 Today, in deﬁance of Hitler and against all odds, a Jewish renaissance is taking place throughout Germany. 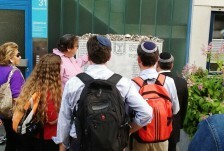 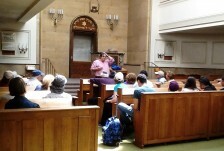 Rabbi Riskin is guiding group participants through the complex history of Germany – the third largest Jewish community in Europe – and showing them the extraordinary impact OTS graduates are having in its rejuvenation. 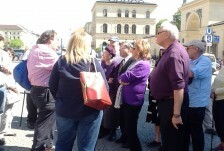 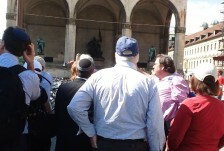 DAY ONE: Munich: Market Place and Odeon Platz, Residence Palace, State Opera House, Agudat Achim Synagogue, Ohel Jakob Synagogue – a symbol of Jewish revival – and the Jewish Community Center. 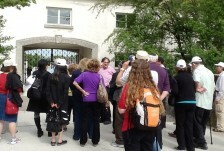 Olympia Park, the scene of the tragic kidnapping and murder of 11 Israeli Olympic athletes at the 1972 Summer Olympics. 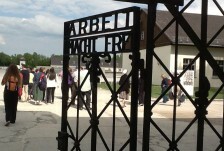 Dachau – the first of the Nazi concentration camp in Germany in which over 200,000 people were imprisoned and over 30,000 died – a third of them Jews. 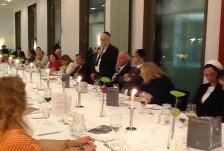 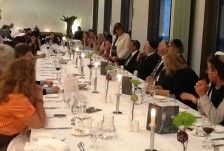 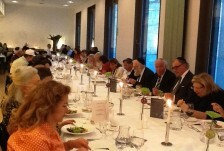 Dinner with community leaders, hosted by President of the Jewish Community in Munich, Mrs. Dr. H.C. Knobloch, former President of the Council of Jewish in Germany.